Every time there is a mass shooting, I just wait for the media to tell us that the person was mentally ill and that is why they did it. It saddens me that the media oftentimes does not mention that less than 1% of people with mental illness are violent. They also don’t use the opportunity to educate the public about mental illness, let them know what signs to look for, assure them it is okay to get help and where to get it. Instead the media would rather just let the public think that all people with mental illness are violent. This time is different! I have heard the people in the media blame this on Vester Flanagan’s, (Bryce’s) mental health and others make it clear that gun control would have prevented it. These people in the media came to the conclusion that the shooter was crazy and had a mental illness within hours of the incident. It is now two days later and no one has mentioned what mental illness they have. For some examples, watch Fox News, specifically The Five the day of the shooting and the day afterwards. Trump used it as a chance to say, “This isn’t a gun problem, this is a mental problem.” He went on to diagnose Bryce himself by saying, ““In the old days they had mental institutions for people like this because he was really, definitely borderline and definitely would have been and should have been institutionalized,” Trump told CNN. “At some point somebody should have seen that, I mean the people close to him should have seen it. Rather you like Trump or not, what he said is ridiculous! The man at no time was told he had a mental illness that we know about. Does he have any idea how hard it is for family members and friends to realize if someone is “not right”? Does he also have any idea how hard it is for family members to get help if they need it? Oftentimes there are no beds and they are turned away. Other times, they have to say they are a threat to themselves or others to get admitted. Most of the time, what the family member says has no influence if the person can get admitted or not. Does Trump even know that? He went on to say, “Everybody sees the signals … they see people and they think they’re disturbed” I don’t think people know what to look for. This could be helped by the media letting the public know like previously stated. Clinton seized the opportunity to bring up gun control. Whether you like Clinton or not, gun control would not have helped this because he did not have a known mental illness and a background check would not have changed anything. What exactly is she going to do to erase the stigma surrounding mental illness, educate the public about mental illness, provide places for people to go when they need help? People with mental illness need help. They need better resources, and less stigma so they are more willing to seek help. Families of people with mental illnesses need help too. They need to know that their voice matters when it comes to getting help for their sick loved one. People with mental illnesses do not need the media and politicians leading the public to believe that these horrible crimes are being committed by only people with mental illnesses and not make it clear that not all people with mental illnesses are criminals. 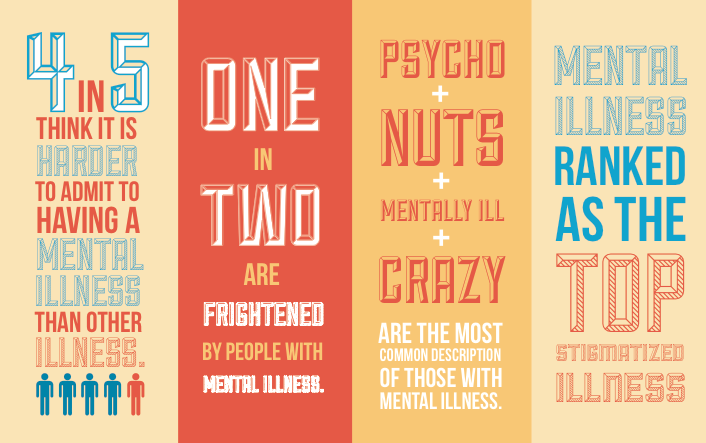 The quotes below and other information about mental illness and violence and the connection can be found here. When will this change? I hope soon because people with mental illness have it hard enough. They don’t need to fight the politicians and media and their biased, views about people with mental illness that contribute to the stigma. Note: My heart goes out to those affected by this horrible tragedy. My thoughts and prayers are with their families and co-workers. This entry was posted in Uncategorized and tagged bryce williams, clinton, donald trump, donald trump and mental illness, gun control, mental health, mental illness, reporter shot on live television, vester flanagan, violence and mental illness, virginia shooting. Bookmark the permalink. Wow. This is interesting. Thanks, man. I have been diagnosed with bipolar disorder at least 3 different times in my adult life. Because it was never explained to me, I never believed the diagnosis. I had a friend who was manic depressive who would do very bizarre things. Since I never echoed that type of behavior, how could I be one in the same. I never knew there were different types of bipolar. Until a therapist took the time to explain the different types of mental illness to me, I finally understood the truth. And, I finally accepted that I was/am Bipolar II. I don’t have a violent bone in my body. I’ve never hurt anyone, not ever. The media as well as our government needs to stop portraying violent criminals as “mentally disturbed”. 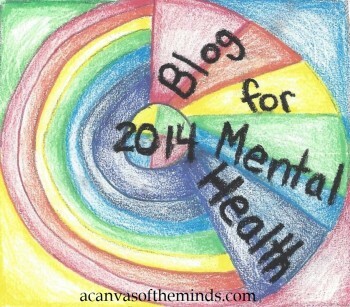 There is way too much stigma still attached to mental illness as it stands. I find it so sad that someone can be physically ill and everyone is so sad for them, yet when someone is mentally ill, people act as though they are contagious and less than human. It’s utterly pathetic. I’ve felt this way far long before I was ever diagnosed. I continue to have the same opinion and always will. It is my hope that more people take a strong stand for those who deserve to be treated with dignity, respect, proper healthcare, proper medicines, doctors, hospitalizations, therapy, and support. Their wellness and lives depend on it. Their families deserve the support they need as well. I haven’t shared the truth of my illness (bipolar II) with many people and some of those I have shared it with had this kind of reaction… one person responded with “that’s scary” and my own mother told me I would have a hard time finding someone who wanted to be with me. I’m still learning about my illness and about myself, but things like this make that even harder because there is so much negativity about it and so many unfounded assumptions. Progress has been made but there is still such a long way to go.